Hello, my name is David Chalmers. 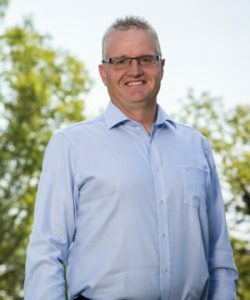 I am the president and General Manager of Trinity Safety & Training and welcome to our new website, we are very excited to make your online experience smooth and convenient. With online registration and more classes more often Trinity Safety make safety training easier than ever to accomplish. On behalf of myself and our amazing team here at Trinity Safety & Training, I would like to extend a warm welcome to you, our valuable customer. Our commitment is to conduct ourselves with integrity and offer quality programs that will equip our customers for life on, and off, the job site. We believe education is the key to equipping workers with the knowledge and skills necessary to reduce risk levels to an acceptable level in every workplace, and that is precisely what we do here at Trinity. We all know of someone who has had the best years of their lives shattered by an unsafe act or unsafe condition that occurred either at work or at leisure. Our hope is that you will take our training with you, wherever you go after you leave our facility. From that ski vacation in the Rockies to that tropical vacation on the equator and everything in between. What you learn from us, will bring value to every part of your life and all of us at Trinity Safety, consider safety to be A WAY OF LIFE and that is where our slogan “Equipped For Life” is rooted. We equip our clients to identify the conditions and acts that create an unnecessarily high risk of injury or harm and we share our knowledge with them to find ways to minimize the exposure to that risk. With that in mind, we are confident that we can reduce incidents and improve the lives on not only front-line workers but all who are associated with those workers including families and friends. We are proud supporters of our community and work with many not for profit organizations to ensure they have the tools they need to function safely. 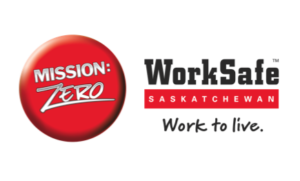 We are also a proud supporter of WorkSafe Saskatchewan and the Mission Zero initiative. We look forward to Equipping you for Life at one of our training centers in the near future.